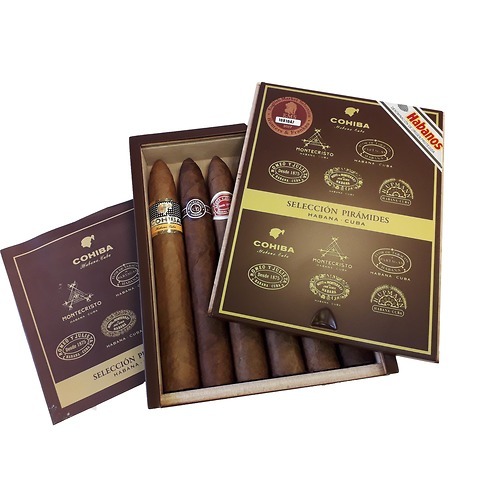 Stuck for gift ideas this Christmas for the cigar lover? Look no further, as we have some stunning ideas to make their day. From accessories to cigars we have all the bases covered. 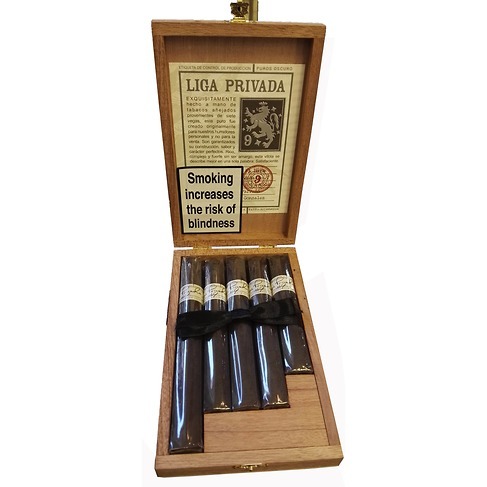 Translated to English, â€œLiga Privadaâ€ means â€œprivate blend.â€ It is the perfect name, as this cigar was originally crafted not for resale, but for our own personal humidors. Dozens of intricate blends were created, but No. 9 was flawless in both flavour and character. 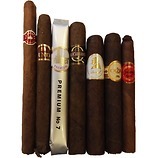 Here we have a selection of 5 different sized Liga Privada cigars in a unique sampler pack. The Robusto size of cigar is by far the most popular size sold in the UK. 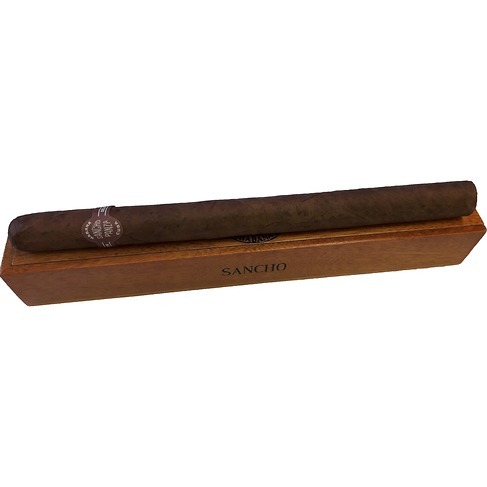 Measuring 5 inches by 50 ring gauge, the Robusto size not only looks good but is also easy to hold. 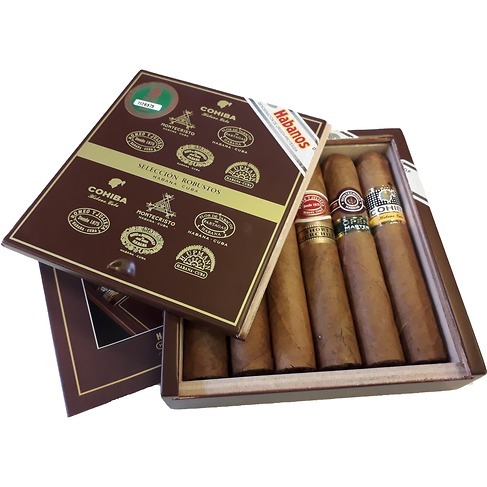 With a smoke time of roughly 45 minutes, these cigars are just about right in every category. 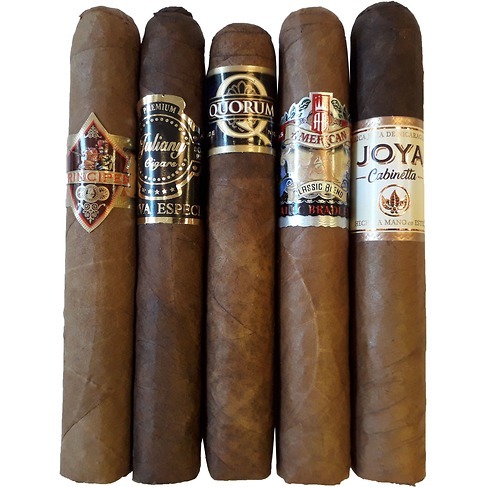 The 5 cigars listed here represent what is currently our customer's favourite Robusto sized cigars. There is definitely something here to suit most tastes as the flavour profiles go from light and creamy up to medium bodied in style! La Aurora El Principe Claro Robusto - Light Bodied A wonderful medium-bodied cigar from one of the top producers in the Dominican Republic. Juliany Maduro Robusto - Medium Bodied A medium weight smoke that have a touch of earthiness to them. The Maduro has a slightly sweet, soft spicy note just on the finish. Quorum Robusto - Medium Bodied It begins a little bitter with a slightly salty taste, once you are half way down the bitterness fades giving way to a sweeter and slightly creamy flavour. Ageing Room Rondo - Medium Bodied Produced in very small batches of premium aged tobaccos, these are stunningly good and very complex. Shows good maturity and depth with a lovely mocha, earthiness to the finish. Joya De Nicaragua Cabinetta Robusto - Medium Bodied Its unconventional two-toned wrappers or Doble Capa makes it very attractive to the eye. However, its the creamy smoke with peppery notes and the mild to medium strength that makes it so captivating! 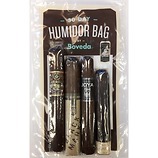 Now packaged in a Boveda Humi-pouch to keep the cigars fresh for up to thirty days! Please note, that from time to time we may substitute some of the contents with similar products due to availability issues. A vintage style book containing 3 x tubed Mareva cigars (5 1/8 x 42); Romeo Y Julieta No.2, Punch Coronation and a Montecristo Petit Tubos. 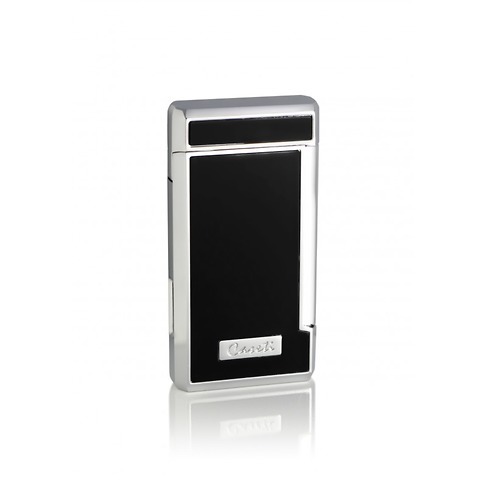 The box also contains a Colibri jet flame light and Gauntleys cigar cutter. Each cigar measures 6 1/2 x 52 Ring gauge. Packed inside a cedar box. 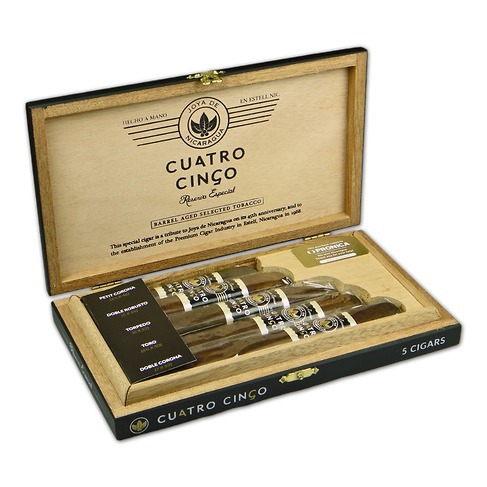 A wonderful gift pack of different sized Cuatro Cinco's which was recently voted UK Cigar Of The Year for 2016. The Unico's must be about the most beautiful cigars that I have ever seen. These Solomones are not only good to look at, but each cigar has a unique design. 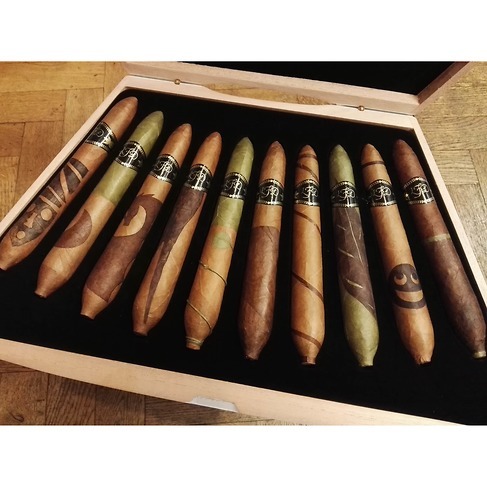 No two cigars are the same and as each box has a unique configuration. Limited to only 4,000 boxes world wide, these awesome cigars are not going to be around for long. 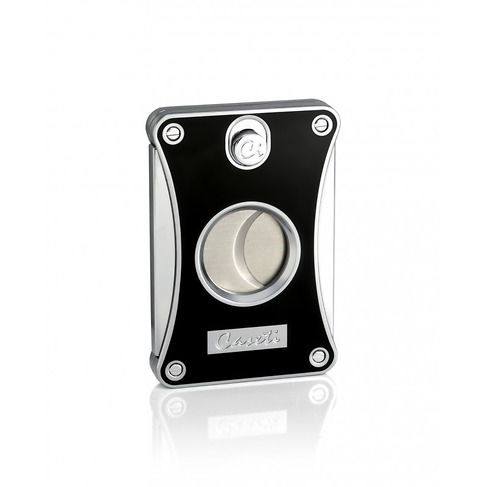 A stylish gift box with a magnetic folding lid containing 1 x La Invicta Honduran Churchill and a Gauntleys cigar cutter. 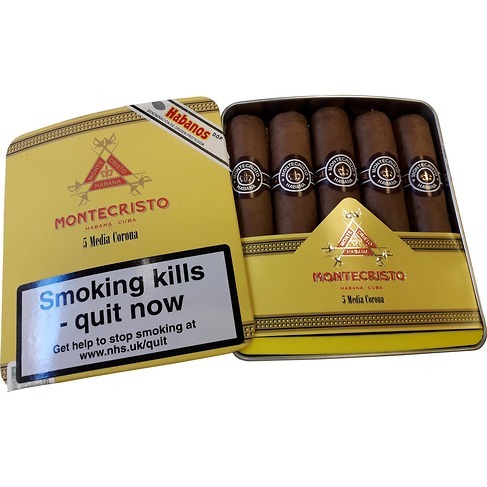 A punchy short smoke presented in an innovative curved tin with sliding lid, capturing the unique essence, character and flavours of the Montecristo brand. 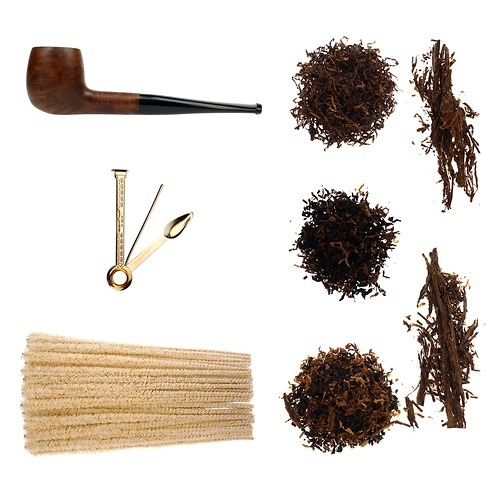 The pipe starter kit for someone wanting a more upmarket version of our usual Pipe Starter Kit. 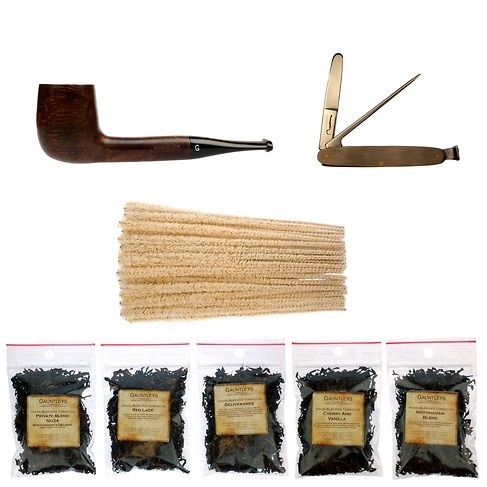 This kit contains a high quality Gauntleys London Briar pipe. These fantastic pipes are made especially for us by a big name pipe maker and smoke exceptionally well. Also featured in the kit are 5 different 10g sample pack sizes of of our house blends that have a range of styles going from light and rounded, to more robust and smoky. The kit also includes a very high quality Rodgers of Sheffield Pipe Knife. This is an essential little item that is both practical and also looks good too! 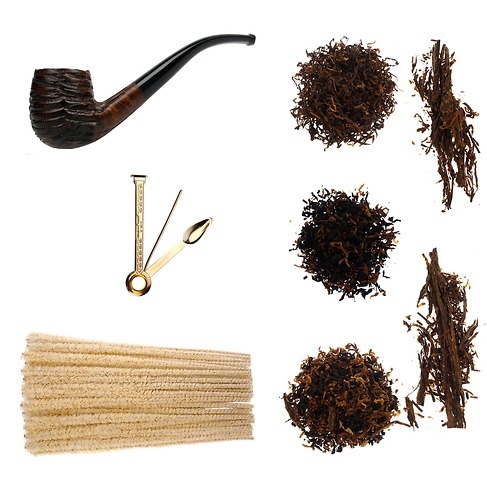 Instructions on the use and maintenance of your pipe are included as are descriptions of the five tobaccos included. Century Black C B23 One of our biggest selling loose tobaccos, this blend of Back Cavendish and Light Virginia is heavily cased in Black Cherry flavours to produce a smooth and cool smoke. While not being a strong blend this American Aromatic is ideal for the experienced smoker and beginners alike. Century BR Blend This mixture of Virginia, Burley & Cavendish produce a mellow base which is enriched with Buttered New England and Jamaican Rum, to produce a very sweet but cool and easy burning blend, The sweet Buttered Rum flavours can be tasted throughout the bowl. The room aroma is of sweet rum. Century Irish C The smoke produced is rich with a strong Irish Cream aroma. Being a light leaf based aromatic it can bite a little if smoke to hard. For the best results pack tight and smoke slow. Planta Presbyterian Mixture "Extraordinarily soft blend of finest US Virginia grades and a number of selected Latakia leaf tips. Ideal mixture also for beginners with English tobaccos." 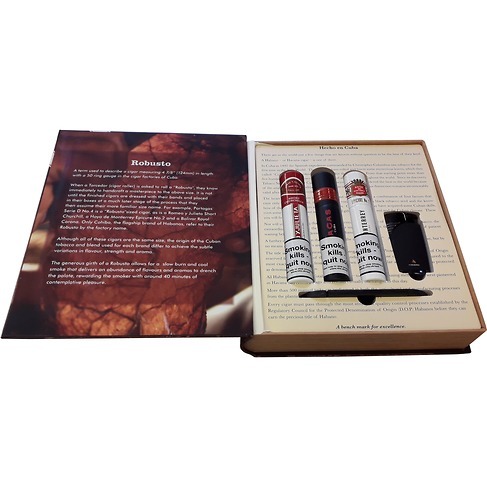 If you are looking to start enjoying the world of pipe tobaccos then this kit is the best place to start. 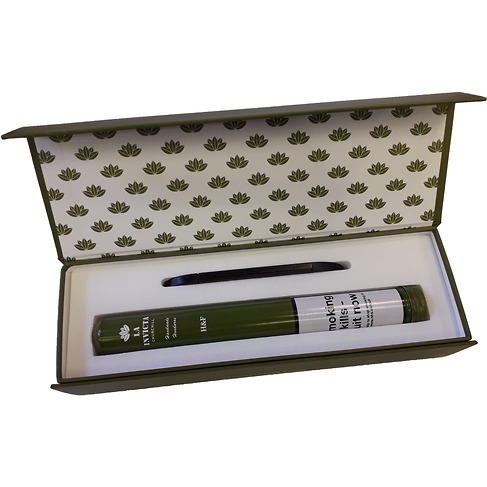 The pack comes with everything you need to get started, from the pipe to the tobaccos. A sweet and frangrant smoke, ideal for beginners. Cocoa and Vanilla flavours, combined with the smooth blend of tobaccos, makes for a great smoke. Dunhill Ready Rubbed This has a smoky character but it is not as intense as the BB1938. Made using mature , flue-cured leaves from the USA, Brazil and Africa that are blended seamlessly with sun cured and smoky fired tobacco'a from Indonesia and India. They are then pressed into Cavendish and topped with a subtle flavour. 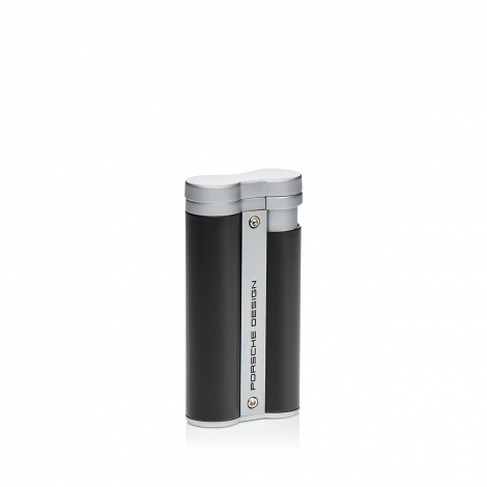 Dunhill Durbar Mix A well balanced, smooth, dark brown smoke with lifted floral and tannin notes. Blended from only the finest Virginias, Latakias and Oriental tobaccos the Durbar is stunningly good just now, but if desired, can age gracefully over the next few years. 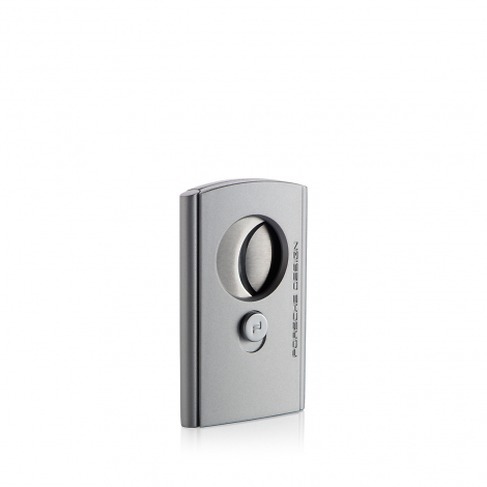 The cigar cutter Pâ€˜3621 is a classic within the Porsche Design Smoking Accessories. The double blades made of high quality Japanese steel guarantee by the radial and axial movement a perfect cut. The ring gauge is 60. 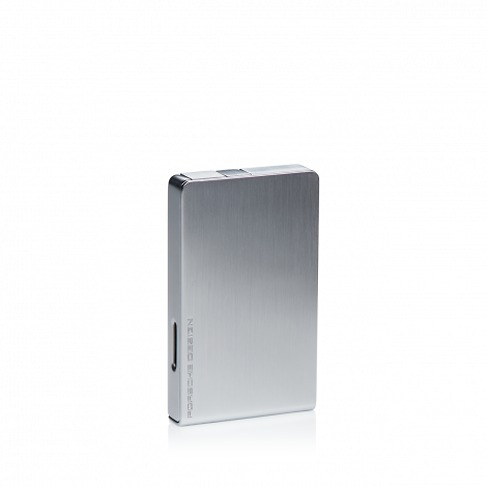 The striking twin-body shape accentuates this lighter's extraordinary design. A patented circular flame jet opening with 30 microfine openings makes it possible to use this lighter safely in even the windiest conditions. The ignition button cover, which can be folded back to the side, protects the functional parts from dirt and dust. Top quality components include the modern piezo ignition, fuel level window and TrogamidÂ® tank. Available in a variety of colours. Fuel capacity : 2,4 ml. 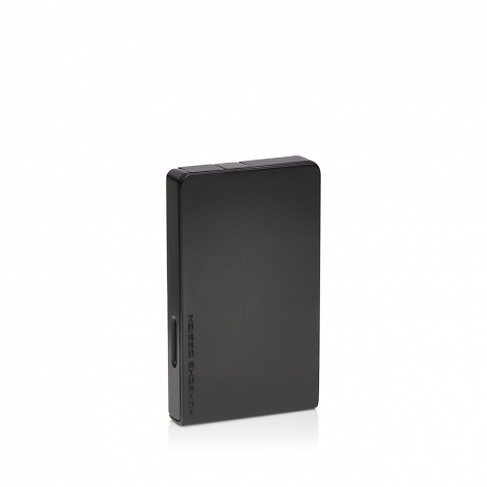 The striking twin-body shape accentuates this lighterâ€™s extraordinary design. 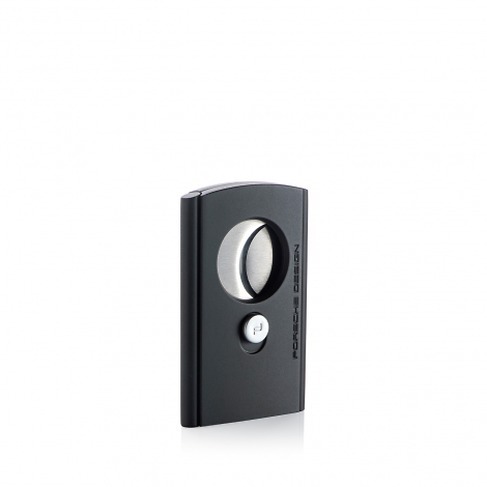 A patented circular flame jet opening with 30 microfine openings makes it possible to use this lighter safely in even the windiest conditions. The ignition button cover, which can be folded back to the side, protects the functional parts from dirt and dust. Top quality components include the modern piezo ignition, fuel level window and TrogamidÂ® tank. Available in a variety of colours. Fuel capacity : 2,4 ml. A very stylish, sleek design. Simple and elegant with a strong jet flame and an easy to read fuel level window. Fuel capacity : 1.0 ml. 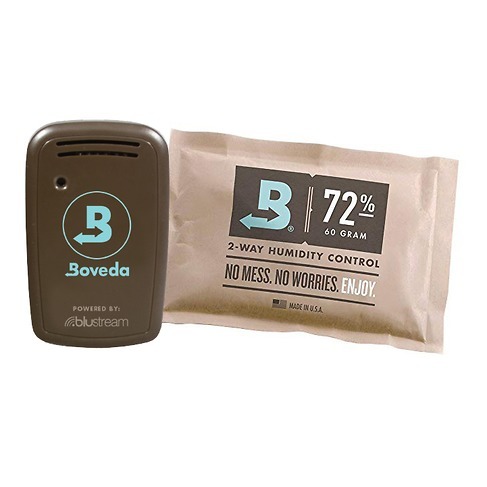 A great starter kit featuring the new Boveda Butler humidity monitoring system and a 72% Humidipak. A new range just in, and one which I think will take the trade by storm. Designed in Paris, these lighters (and cigar cutters too!) are stylish and look similar to some very big names that's because they are designed by the same chap who not only designed Pierre Cardin, but also Dupont too! A sleek, stylish twin blade cutter from the man who designed Dupont cutters and lighters. The level of care and attention to detail with the Caseti product range is second to none, and as such, these would make perfect gifts. A humidified branded tin containing 10 Partagas Petit Coronas Especiales. 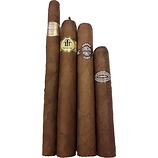 These are big and full bodied in style so would suit the smoker of fuller flavoured cigars. The much loved and iconic Piramide (6 1/8 x 52) lovingly presented in an individual, sliding lid wooden box. This will also come packaged in a humi-pouch to ensure that the cigar stays fresh until the big day. 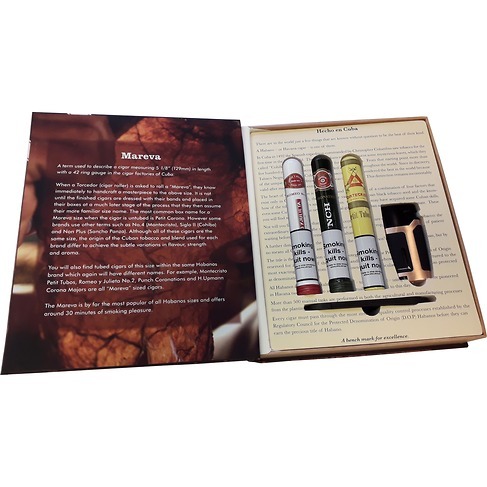 A gargantuan cigar that measures 9 1/4 inches by 47 ring guage all boxed up in it's very own wooden gift box. This is one that you will need to dedicate a good couple of hours to as it will take that long to smoke. The cigar itself has been aged for 15 years, so this is fully mature. Light bodied and very rounded in character.